Dashboard is a special section in Mac OS X where Apple has given a lot of things which you might use daily and very often, like Calculator, language translator, notes taker, dictionary and lot more. It can be accessed by pressing F12 key in your mac. And you can remove/add widgets into the dashboard to make it the best for you. But always hitting the F12 key to open the dashboard is not liked by everyone, even me. So i would customize my mac by having the features of dashboard on my desktop which is most frequently kept best online casino open for me, than anything else when am not using the the web. 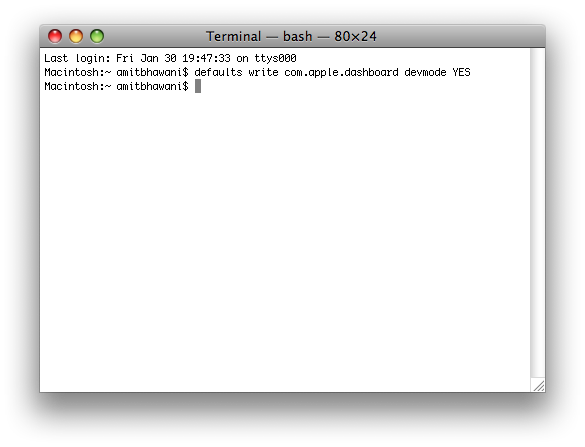 This will make the developer mode On for dashboard, and there has been no error while doing this. So you too won”t find any problem but just a prompt reply to this command in the terminal application. Now, log out of your account and re-login to make the changes to developer mode.